The last eighteen months have seen no abatement in the demand for conversational AI platforms and predictions from major analyst firms shows the trend is set to continue strongly in 2018. But throughout this, there is an underlying message; enterprises need to deploy conversational platforms that are capable of truly understanding the customer—however they phrase the question. In a recent report that explores the conversational AI applications and looks at development technology from Amazon, Apple, Facebook, Google and Microsoft, alongside Artificial Solutions, it discusses how the tremendous growth in the Intelligent Assistant market can be attributed to automated customer support services and smart home systems. But it also points out that accuracy in some chatbots is the main restraining factor for uptake in the market. In addition, it is becoming increasingly apparent that customers are looking for a more humanlike, natural experience. However, for enterprises that can overcome this issue by using advanced AI-driven conversational platforms such as Teneo, the rewards are great. Not just the increase in customer satisfaction, but in the actionable data that conversational interfaces generate. 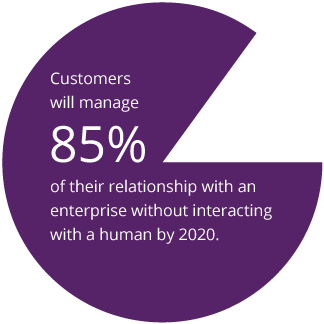 In order to achieve this, enterprises need to ensure that conversational chatbots can understand the context and the sentiment behind the conversation. That the conversational AI solution can seamlessly integrate with back-end data and third-party databases to enable deeper personalization. It also needs to be capable of creating detailed analysis of the chat logs in real-time to feedback into the conversation, improve and maintain the system and deliver actionable insights to the business. Understanding the conversational data generated by intelligent digital assistants will reap huge rewards for enterprises. This is because when people communicate in a natural, conversational way, they reveal more than just the words they’re saying. Their individual preferences, views, opinions, feelings, inclinations and more are all part of the conversation. But conversational data must be interpreted within its proper context before it can be turned into actionable information. Without the tools to analyze the conversations, it’s tempting for businesses to rely on their own, often prejudiced, interpretation of data. This is normally because they don’t have the necessary resources, or retrieving the relevant information takes too long. The problem with analyzing conversational data is that it isn’t like typical data sets with neat rows and columns, and most conversational analytic tools interpret the data simply as words. Without context, meaning, or frequencies it’s easy to misunderstand information. For example, suppose you’re an airline and you see that the word “book” and its variants are used frequently with your conversational agent. Intuitively you’d think it was referring to booking flights, but data from a live Teneo installation revealed that the word book was most frequently used about seat reservations. Gartner also lists conversational platforms as one of its Top 10 Strategic Technology Trends for 2018. But says that: “The challenge that conversational platforms face is that users must communicate in a very structured way, and this is often a frustrating experience.” A topic which we addressed recently in the blog post Why slot-filling chatbots will never meet human expectations. This is functionality that Teneo has been delivering for years. In fact, some of our customers are retrieving data from legacy systems to use in their conversations that are so old they don’t have handy APIs to integrate. But this only goes to demonstrate the flexibility of our technology. Integration with external systems is key for improving business agility, increasing personalization and customer satisfaction. As the use of AI in businesses develops it will be essential for information and data assets to be shared across the enterprise. Already in implementations such as Shell’s conversational bots that have access to hundreds of thousands different variables to consider that seamless integration is essential in choosing the right answer. Conversational AI platforms come in all shapes and sizes. Some are nothing more than point solutions to address specific needs, others such as Teneo provide everything an enterprise needs to develop a global conversational AI interface. While speed and ease of development is paramount for businesses looking to gain a foothold in their AI strategy there are other aspects to consider too. If you’re a global company you’ll need language support and it’s important to note that while some vendors offer multiple languages, it frequently involves a whole new build to use them. The same goes with porting to different services or devices. As the number of devices that users interact with everyday grows from smart homes to in-car tech, enterprises will need to ensure that intelligent agents will work across them. Other enterprise features such as scaling, rollback and collaborative working also have their pitfalls and challenges if not considered up front. In addition, the future will be in these interfaces “talking” to one another so an open and flexible architecture will be essential. While people may be enjoying the fact that speech recognition is now three times faster than texting into a smartphone, data privacy is a key issue for users. In order to comply, enterprises need a conversational AI platform with a flexible architecture to enable it to be configured to meet an individual organization’s needs across multiple geographies and legal requirements. This includes self-host their entire deployment where required. Unlike many of our competitors, we allow our customers to own the conversational data they generate. This not only enables them to analyze and learn from the entire conversation, but also to secure the data according to their own policies and procedures. In addition, we provide the capability to easy identify any personal data revealed, either intentionally or accidentally, during a conversation and for personal data to be pseudonymize while still enabling conversations to be used for statistical analysis and data insight. Personality can also play an important role in engaging customers and conveying your trust worthiness with their data. This can be reflected in the words they use and how they react in different situations. Your virtual employee might be part of your frictionless customer experience, but they can still reflect your brand through their own persona and engage the user. The more engaged the user is, the more they use the conversational interface, and the more data you receive in return. Racist conversational bots. Sexist virtual assistants. AI run amok. We’ve all seen the headlines. As contradictory as it may seem, AI needs human intervention, at least if you want to keep your customers. At Artificial Solutions we use a hybrid approach to conversational AI development, delivered at a native level in the platform. This provides the best of both worlds. The speed of machine learning, tempered with the control of linguistics. In much the same way a parent teaches a child the difference between right and wrong, so businesses can do the same with their digital agent. While this is possible to achieve only using machine learning, it can take huge amounts of training data to do so. And as high-profile cases have already shown, get the training data wrong, or allow the general public to provide it for you, doesn’t always go according to plan. 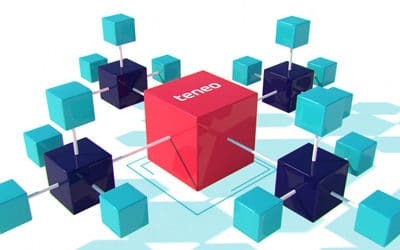 Teneo’s linguistic abilities allow for conversational systems to be built even without data, and provide transparency in how the system operates. Also, with an area as complex as natural language dialogue for business purposes (not simply chit-chat), rules ensure that the system maintains a consistent and correct personality and behavior aligned with business aims. Thanks to the existing resources in Teneo, such rules can be created with precision and speed. The machine learning integrations allow the system to go beyond the realm of rules, to make smart and complex inferences in areas where a linguistic only approach is difficult, or even impossible, to create. 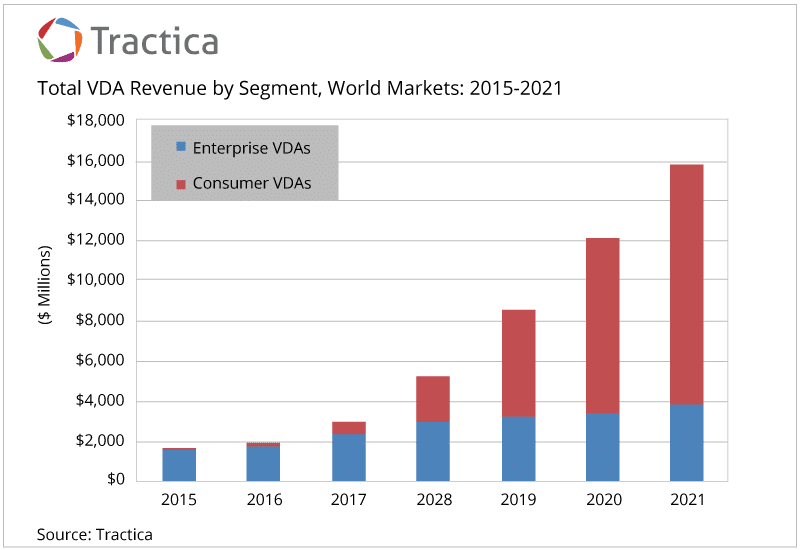 Tractica forecasts that unique active consumer Virtual Digital Assistants (VDA) users will grow from 390 million in 2015 to 1.8 billion worldwide by the end of 2021. During the same period, unique active enterprise VDA users will rise from 155 million in 2015 to 843 million by 2021. The rapid and sustained growth that is being predicted by all major analysts points to the strongly defined benefits that both consumers and enterprises see in conversational AI. 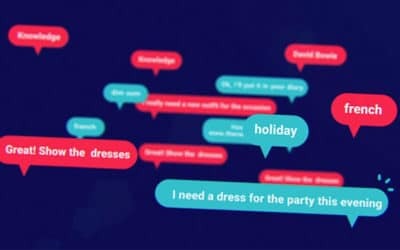 For users conversational AI offers for the first time a means to interact with technology using their own words. For technology to understand them, not the other way around. They can receive the right answers to their questions anytime they choose, without having to wade through laborious FAQs or interminable automated telephone menus. They can create complex tasks with a sentence such as setting a home automation system with a simple utterance of “Turn on the porch light after 8pm and lock the front door.” People will start to choose which organizations they buy from based on the ease they can get what they want. 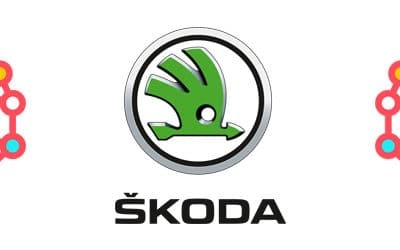 Not necessarily the cheapest, but the company that offers the best experience. For enterprises conversational AI offers not just a chance to differentiate themselves in a crowded marketspace, but the opportunity to garner valuable data on the voice of the customer. To understand what they are looking for today and in the future; to engage with them on any device or service they use; and to deliver a personalized service not just to high value customers, but to every customer. Of course, this neglects to mention the very tangible savings businesses can achieve by using AI-driven chatbots for automating many tasks such as customer service. Juniper Research puts the cost savings of over $8 billion annually by 2022, up significantly from a paltry $20 million in 2017. While many people worry about the impact this may have on employment, it is worth remembering that with new technology, come new work opportunities. Already AI is contributing to an increase in skill sets of workers, and therefore remuneration, across a wide range of industries from healthcare to clerical. According to Research and Markets, the Intelligent Virtual Assistant (IVA) market will grow at a CAGR of 38.82% between 2017 and 2023. 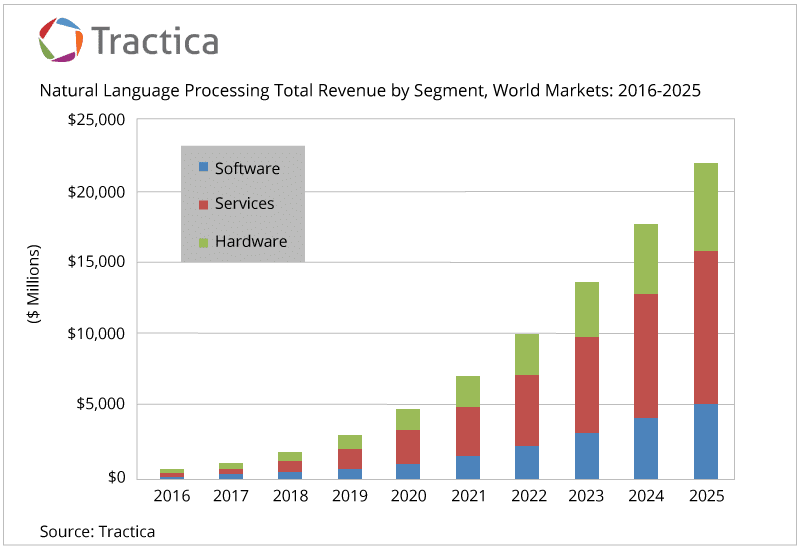 This supports a report recently published by research specialist Tractica, which estimates that the overall natural language processing market is set to reach $22.3 Billion by 2025, with the NLP software market growing from $136 million in 2016 to $5.4 billion by 2025. With Gartner predicting that “Conversational AI-first” will supersede cloud-first, mobile first” as the most important high-level imperative for the next ten years there is no doubt that many enterprises in the next twelve months will be deploying conversational systems. How successful they are, in both providing value to the customer and the business will depend greatly on the technology used and its ability to deliver the conversational experience your customer expects. Avoiding the “False Choice” Between Linguistic Models and Machine Learning. The backbone of Artificial Solutions’ Teneo platform is a linguistic-based algorithm with the key ability to embed and operate in tandem with machine learning algorithms. Andy, who lives with his family in the UK, is Chief Marketing & Strategy Officer at Artificial Solutions. A regular speaker at industry conferences and events, Andy delivers insight on the rise of AI, the challenges businesses face and the future of intelligent conversational applications. I like how it was mentioned that the success of conversational AI will be based on robustness and the ability to invoke and orchestrate third-party services. With conversational systems expanding, I think that if I had a company I would want to look into getting a conversational platform. Making sure that the system is robust is a key feature I would want for a platform. There’s a disconnect in the market, where people identify conversational ai as chatbots, but the reality is not all chatbots are created equal – chatbots have an overarching presence, where they can be the most basic glorified FAQ systems or can really have some guts that are built with linguistic models or machine learning. Since conversational ai is just beginning to take off, there’s no industry standard as to how we talk about software in this space. As far as I can tell from reading online, chatbots, virtual agents, virtual assistants, and digital employees all mean the same thing. The ‘chatbot’ buzzword definitely took off with Facebook and the 100k plus chatbots that were developed. They didn’t seem to make that large of an impact for businesses, because in reality, most of them didn’t live up to the hype and were super basic. I think the next generation of chatbots developed with AI will be able to make significant improvements in customer experience, and that the ‘conversational’ aspect will continue to be improved.